I thought I would create this quick guide for those who are familiar with Theory of Change but still would like a bit of a reference. Hope you find it useful. You can also download a copy of this guide in PDF below. Theory of Change is a methodology used to systematically develop a robust programme model and enables organisations to set out, in theory, HOW the interventions will bring about the outcomes. This is a quick reference guide to build your own Theory of Change but does not provide detailed background information. Please refer to the online guide: “The Community Builder’s Approach to Theory of Change” by the Aspen Institute for more information. 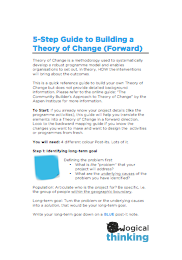 To Start: If you already know your project details (like the programme activities), this guide will help you translate the elements into a Theory of Change in a forward direction. Look to the backward mapping guide if you know the changes you want to make and want to design the activities or programmes from fresh. You will need: 4 different colour Post-its. Lots of it. What is the “problem” that your project will address? What are the underlying causes of the problem you have identified? Population: Articulate who is the project for? Be specific, i.e. the group of people within the geographic boundary. Long-term goal: Turn the problem or the underlying causes into a solution, that would be your long-term goal. 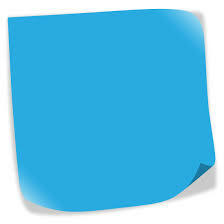 Write your long-term goal down on a BLUE post-it note. What activities or services are part of the project? For which specific populations are those activities aimed? 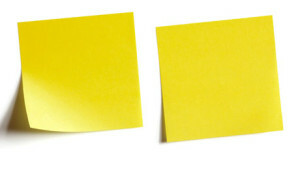 Write each activity on a YELLOW post-it note. Step 3: Identifying Outcomes: Creating the “so That” Chains. Once the “so that” chains are completed, each statement is a potential outcome. Write each of the outcomes on a PINK post-it note. Arrange your activities, outcomes, and goals on a flipchart. Draw lines to show how the elements are connected, use arrows to indicate the direction of travel. While you are linking the elements together, think about what assumptions you’ve made so far. Assumptions are conditions outside of you control that must be in place in order for your project to succeed. 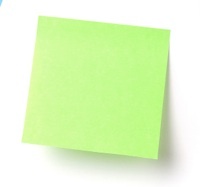 Write down each brainstormed assumption on a GREEN post-it note, and put it beside the line linking the outcomes. You might not be able to do so at this point. So come back to it when you are ready. Rome was not built in one day. To make your outcomes a reality, some effort is required. Think about what the minimal effort thresholds of the activities need to happen in order for each outcome to be realised. Pupils in after school reading club need to attend at least 3 sessions a week over a 3 month-term in order to improve their reading skills. Logical Thinking Consultancy Ltd. Director: WeiHsi Hu. A company registered in England & Wales. Registration number: 8917129. © Copyright Logical Thinking Consultancy.